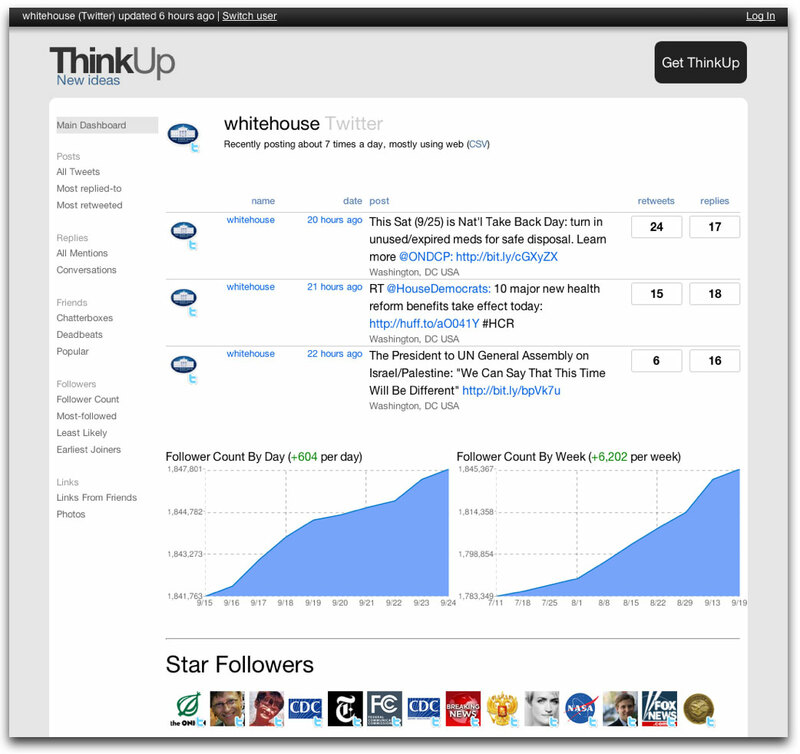 Thinkup is a open source software you can install on your webserver, requiring php 5.2 or higher and a MySQL database. Fine. But want the heck is it good for? Thinkup gathers your social media activities, plus their reactions, like comments, retweets or likes and stores it in your database, so you can sort, export, analyse or display your very own social media footprints as you wish. It comes with features like wordpress integration and an easy-to-use web installer. The benefit is you do not have to dump you data to another third party analysis applikation/software/webservice so you are able to do that on your very own server under your control. What I am really interested in, are the analysis functions. I’m already hooked, so let’s check it out. Will keep this post updated! Thinkup is created by Gina Trampani (she also made the Better Gmail2 FF Addon, which I can only recommend to use) in cooperation with Expert Labs.